The EHPBA was founded in 1999 as the European Regional Association of the International Hepato-Pancreato-Biliary Association (IHPBA). The Association then expanded to countries of the Middle East and Africa, thus, forming the European-African Hepato-Pancreato-Biliary Association (E-AHPBA) in 2011. Currently, the Association counts for more than 1000+ active members from Europe, the Middle East and Africa. Our region also includes ‘National Chapters’ that represent memberships from different countries including: CIS (Russian Federation and CIS Countries), Czech Republic, Egypt, France, Germany, Great Britain and Ireland, Greece, Italy, Kenya, MENA (Middle East and North Africa), Netherlands, Scandinavia, Spain, South Africa and Turkey. 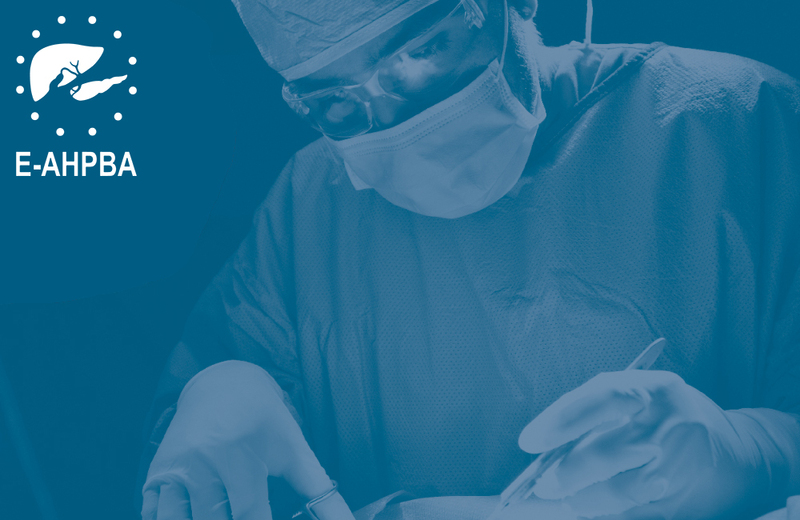 The primary mission of the Association is to be the prime interdisciplinary organisation for HPB-surgical science and scholarship in our region, and to provide an international forum for presenting the state-of-the-art developments and science of HPB-surgery. This mission is currently accomplished by conducting a biennial scientific meeting (alternating with the IHPBA World Congress), and other annual events such as consensus conferences, post-graduate courses, technical courses, and workshops. The E-AHPBA may also support educative and scientific activities from its members and strategic partners. The E-AHPBA has strengthened it thrust to improve the educational activities through formalising the Post Graduate course curriculum and its delivery through National Chapters. There is a new process for accreditation of training sites which is currently being introduced. The next E-AHPBA Regional Congress will be held in Amsterdam, The Netherlands from the 2nd to 6th June 2019, www.e-ahpba2019.com. The official journal of E-AHPBA is HPB. HPB is now well established as an international forum for clinical, scientific and educational communication with an impact factor in 2015 of 2.918. It has risen in importance in the last few years to represent the major HPB journal in which the latest advances in our speciality are published. The E-AHPBA also regularly publishes newsletters to keep our members up to date on activities held by the Association. The E-AHPBA is a paper-free Association, and therefore, platforms for communication are emails and our website. This website will secure timely and optimal diffusion of information among all E-AHPBA members. The E-AHPBA moved to a new area with the improved professionalism of our operational activities and a new name European–African Hepato-Pancreato-Biliary Association, to better highlight the geographical coverage of the Association. The E-AHPBA is moving forward in playing a major role in its field in the development worldwide and must serve as a friendly and efficient platform to share ideas, scientific information, studies and, trainees. Friendship and a desire to learn from each other in an international and interdisciplinary world is the sole spirit in our Association. The E-AHPBA is moving forward in playing a major role in its field in the development of HPB-diseases worldwide. The E-AHPBA is engaged with the IHPBA in developing a combined membership of the two organisations. This process of “harmonisation” will ensure we are aligned with the vision of the IHPBA and the regional Associations. The E-AHPBA encourages the recruitment, mentorship, training and career development of individuals interested in hepato-pancreato-biliary disorders. The E-AHPBA embraces a multidisciplinary approach to the treatment of hepato-pancreato-biliary disorders and fosters collegial relationships. The E-AHPBA encourages membership by qualified candidates interested in hepato-pancreato-biliary disorders including anaesthesiologists, hepatologists, gastroenterologists, radiologists, oncologists, surgeons, transplant physicians, nurses, allied health professionals and investigators. The E-AHPBA is focused on the development of new national chapters and increasing our membership. The E-AHPBA is committed to the highest ethical standards in research, education, organisational operation and interaction with industry. The idea to found the EHPBA was conceived in May 1990 during the 3rd World IHPBA Congress in London, England. At that time there were two European candidate cities for the organization of the 4th World Congress in 1996: one was Bologna (Italian, Chapter), headed by Prof. G. Gozetti and the other was Athens (Greek Chapter), headed by Prof. B. Kekis. Bologna was chosen to organize and host the 4th World Congress. The Athens Congress in 1995, under the presidency of Basil Kekis was a great success both in terms of participation of HPB specialists from all over Europe and in terms of the quality of the organization. To pursue this positive experience, it was decided to organize a follow up 2nd Congress in 1997 under the Presidency of Christoph Broelsch, Hamburg, Germany. Inspired by the success of these two European meetings, the idea for the creation of a European Chapter matured; By-laws were written and European leaders in HPB were identified to serve as founding members. The new general Committee took the responsibility of selecting venues for the bi-annual Congresses of the Association. Amsterdam was chosen for 2001 and the meeting was successfully organised by Dirk Gouma. Istanbul held the 2003 EHPBA meeting under the leadership of Ali Emre. It was during this meeting that the EHPBA, which now included the Middle East and Africa, was inaugurated formally. The council was expanded more formally organised and new officers were elected. In Istanbul, the vision, spirit and tradition of the EHPBA became established, and its future secured.